I've posted a few times over the years on the difficulty of finding appropriate jobs for kids with Asperger’s Syndrome and other special needs. There's the need to find a job that matches their special interests but also doesn't involve a lot of confrontational personal contact. You need to find a boss that is understanding of your child's differences and who knows when to push and when to relax the rules… and of course, you need to get your young adult past the interview stage. Sometimes it's just “all too much”, sometimes you need to create that employment environment yourself. Your young adult with Aspergers will thrive in an environment that is tied to their special interests but not all interests are career-worthy. 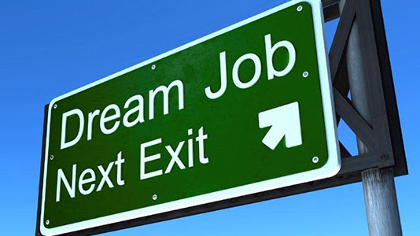 If your young adult has an interest in cars, woodwork, animals or computers, the career opportunities are clear but if their interests lie in less career-oriented pursuits, you might have to get creative, or you might have to look for employment opportunities outside of the special interests. It's not a good idea to start a career in an area where the prospects are shrinking. For example, it's a “given” that although they're very suitable for people with Asperger’s, jobs in libraries are becoming scarce. The same goes for general store checkout jobs as these are being steadily replaced by automated systems, and by purchases over the Internet. Even fast food and package delivery jobs are short term with drones moving in on those spaces. The most future-proof jobs are those which need lots of “hands on” and those with permanent or growing patrons. Unless you have a lot of spare cash, you'll have to start slowly, perhaps with some volunteer work just to be sure that your young adult is interested in the work. If all goes well, you'll want to set up a company and make sure that you have the right equipment and insurance. From there, it's just a matter of marketing. Setting up a web site is easy and can be done at low cost (or even “no cost). Distribution of pamphlets can also be done at low cost and of course, “word of mouth” counts for a lot too if you're doing a good job. Busy business people and the elderly are usually in need of gardening and/or mowing services. Visiting the elderly and helping them to learn how to use their devices, fixing problems and helping those who can't learn to at least read and answer their email. If you arrange visits to local retirement villages and charge a small amount per person, it could become a worthwhile activity. If you're particularly proficient in computers, you could offer support to a wider audience- or even small local businesses. There are plenty of opportunities for simply dog-walking as people these days are often too busy to walk their dogs. As you become more experienced, you could offer additional services such as washing or grooming. There's always a need for babysitting services but there's also a lot of opportunities for after school care. It's important to note that this is one job that you can't do alone. You'll need two responsible adults at all times. If you're academically inclined, you could offer one on one after school tutoring, or even special needs tutoring. Obviously there are plenty of driving jobs for delivery companies but there are also opportunities via new services such as uber. If you're good with cosmetics, there are plenty of opportunities to visit people ‘s houses and help them with this sort of thing. You may also be able to sell beauty products at the same time. There aren't so many jobs in photography now that digital cameras are so simple but there's still a lot of people out there who would pay for quality photos. If it's something that you're good at, you might want to consider pet, child or beauty photography. Perhaps approach the local preschools and offer to take photos. You could send low resolution images to the parents and let them decide if they want to pay for them. If your young adult has other diverse interests, look for a way that they can be monetised. Sometimes this is as simple as setting them up as an eBay "broker" for the buying and selling of things. If your young adult has an interesting collection of items or has particular skills, for example, in electronics, they may want to develop a "lesson" that they can take to scout halls. The scouts are always on the lookout for low cost activities. An electronics activity that costs $5 per scout could bring in $150 if there were 30 scouts. If the activity is successful and well received, you could branch out to schools. 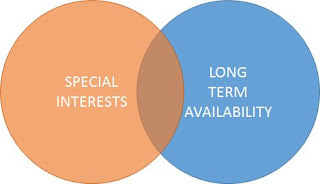 Whatever you choose, let the special interest be your guide. I have talked to my son about software programming and got him interested in it. I can certainly see how working in a corporate environment can be taxing for him. There is a lot of conflict, politics and problems that he could be dealing with. I think perhaps working as an independent software developer could be really good. By the way - thank you for blogging and posting and sharing here. Have followed you for a few months and it's really been helpful for me. Driving: If a taxi/Uber/Lyft passenger politely offers a suggestion for a shortcut, but the driver starts screaming at the passenger because the shortcut violates some special interest in the map or whatever... Also don't forget self-driving cars that might make driving jobs obsolete!